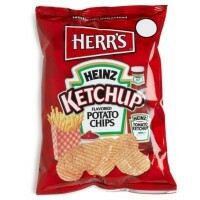 Enjoy a snacking sensation of not just one but two great American brands – Herrs Potato Chips and Heinz Ketchup, yum! 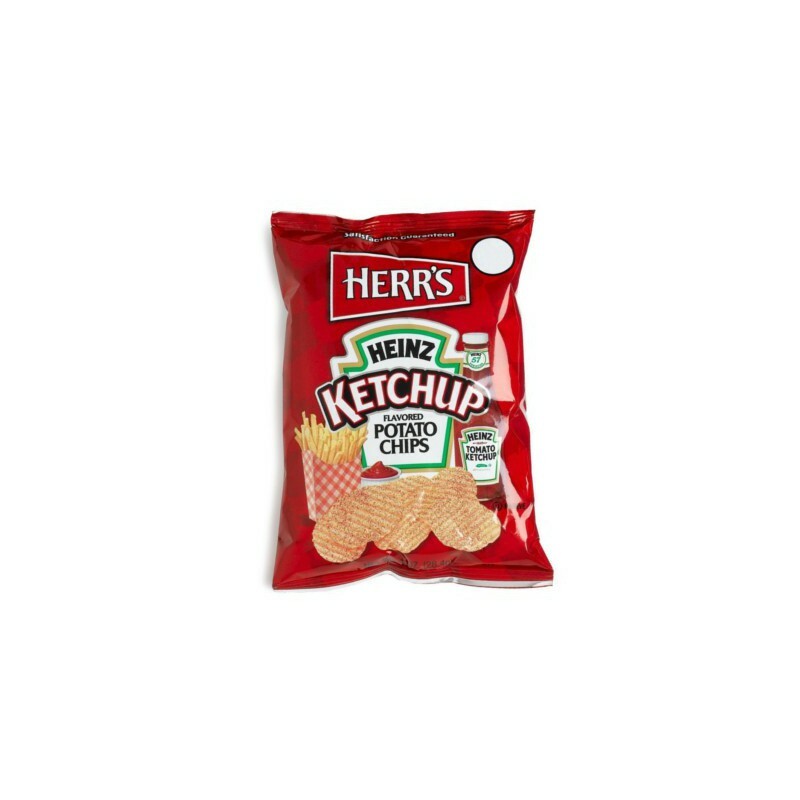 For over 50 years Herrs has been making perfect tasting potato chips and Herrs Ketchup Flavored Potato Chips are no exception. Pair them with a sandwich, or enjoy as a Netflix binge snack. Satisfaction guaranteed. Bet you can’t eat just one! 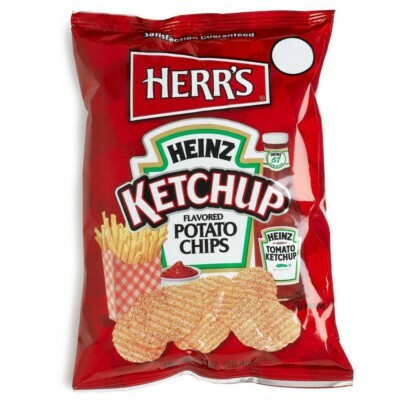 Potatoes, vegetable oils (cottonseed and/or corn and/or sunflower and/or soybean), salt, seasoning (sugar, tomato powder, fructose, flavor enhancer E621, salt, dehydrated onion, acidity regulators E296-E262i, color E129*, thickening agent E414, paprika extract, natural flavor, anti-caking agent E551). *May have an adverse effect on activity and attention in children. Nutrition facts (for 100g): calories 536Kcal, total fat 32.1g (saturated fat 10.7g), total carbohydrate 53.6g (sugar 7.1g), protein 7.1g, salt 2.2g.